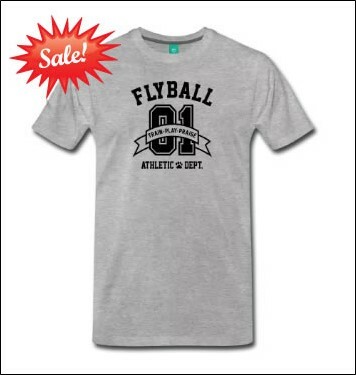 This grey t-shirt is a great addition to any Flyball team member's clothing selection! 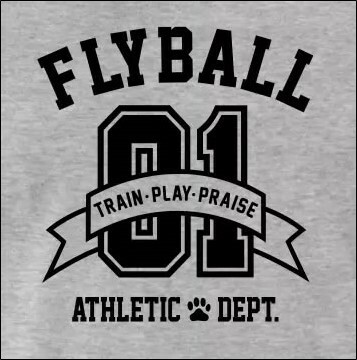 The shirt's design mimics a traditional style athletic department design displaying the word "Flyball" arching over the number "01" with a ribbon displaying the text, "Train, Play, Praise." 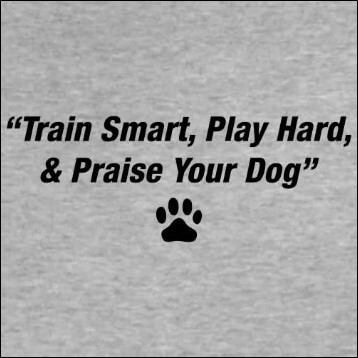 The back of the shirt displays the motto, “Train Smart, Play Hard, & Praise Your Dog” with a paw print under quote. Each t-shirt is made by Gildan and is a preshrunk 6.1 oz. 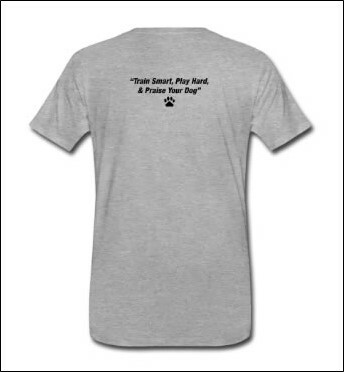 99% cotton/1% polyester crew neck style shirt in unisex sizes. The design is plot printed with a smooth finish. It has a slightly shiny finish and feels smooth. It's extremely durable and will not fade after multiple washings.